West London welcomed the two-day Lovebox Festival which brought headliners Childish Gambino, Skepta, and N.E.R.D. to Acton's Gunnersbury Park. 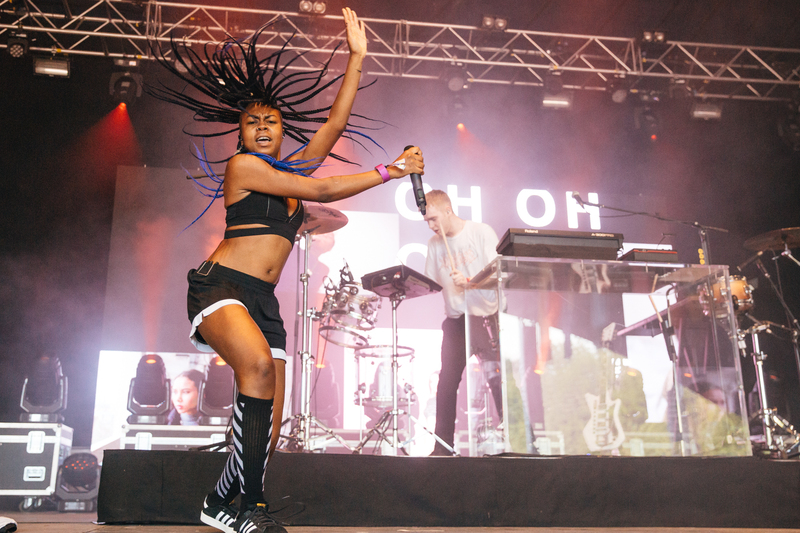 While the highlights across the two days were undeniably held by evening headliners Skepta and Childish Gambino, Lovebox also welcomed an intense cocktail of talent, with many of the British artists packing out tents to the point where crowds were beginning to question why they didn’t have a main stage slot. Friday welcomed a saturated line-up. Although a lot of the good artists were clashing, it was a small enough area to jump between sets quite quickly. 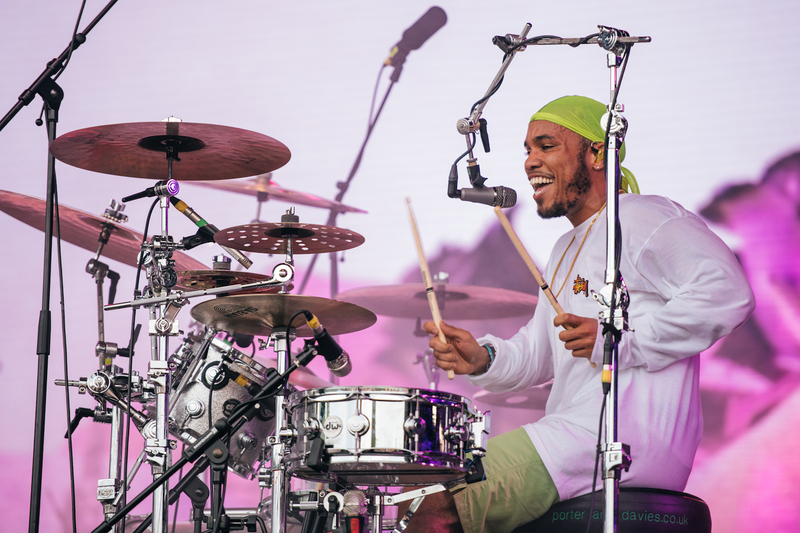 Anderson .Paak & The Free Nationals had Lovebox swaying in the sun as .Paak graced the stage hopping between his elaborate drum kit and his infectious dancing and jumping around on stage. Dishing out the Kaytranada-produced “Glowed Up”, latest single “Bubblin”, .Paak projected his showmanship and delved into Malibu classics “Come Down” and “Am I Wrong” with his utterly contagious flair. South London’s Dave was extremely underestimated. He packed out the tent times two, with the crowd spilling out across the field just to hear a glimpse of his intellectual and infectious flow. 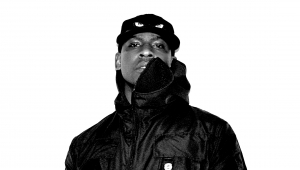 The grime rapper performed Game Over’s “Attitude”, and dipped into older tracks like “100M’s” and his breakthrough track “Wanna Know”. The impressive performance left the rising rapper speechless on stage, but the reaction received was undeniably deserved, particularly as he moved into the heartstring-tugging “Hangman”, and later brought out one of his dedicated fans to recreate Dave’s AJ Tracey collaboration, “Thiago Silva”. Skepta’s set was welcomed by a torrential downpour that the crowd lapped up after a sizzling day in the city heat. 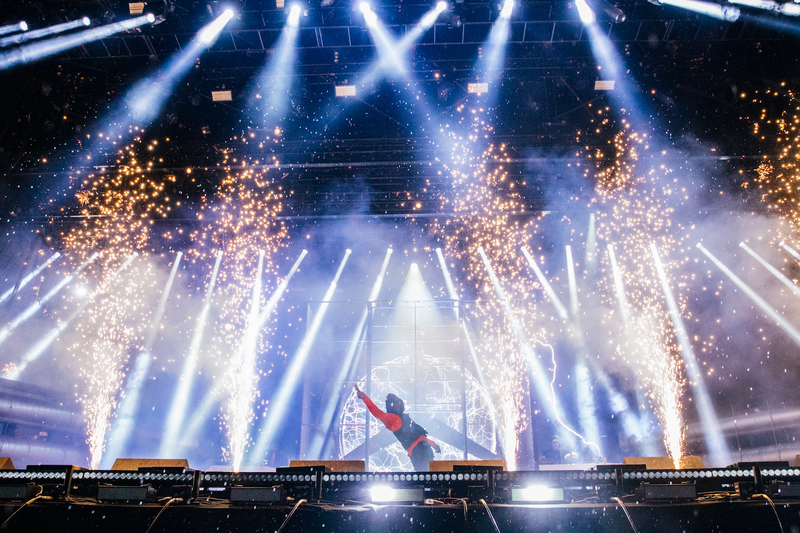 Arriving with “Pure Water”, Skepta hyped up the crowd to an intense level as he raced through Mercury Prize-winning Konnichiwa tracks “Lyrics”, “Crime Riddim”, and later “Detox”, where he brought out BBK and Lethal Bizzle to serve some old-school anthems. Goldie even made an appearance for “Athlete”, and Skepta really drew the crowd to an all time high during his sound-defining classic, “Ace Hood Flow”, “Shutdown” and his closing track and A$AP Rocky collab, “Praise The Lord (Da Shine)”. Saturday’s line-up welcomed another set of impressive performers, with Tirzah sealing the deal first in the early afternoon sun performing a collection of unreleased tracks due to appear on her forthcoming album, as well as both singles, “Gladly” and “Affection”. Tirzah’s elegantly delicate delivery and instrumental minimalism only provoked the excitement surrounding her forthcoming album as she dished out her tracks in a quiet, but soulful manner. Mura Masa, much like Dave, packed out the Noisey Presents stage twice over, but the vibe was carried far and wide as people rushed just to catch wind of his infectious summer beats. 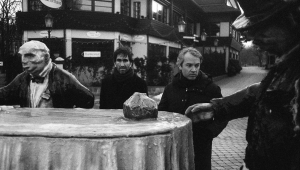 While his long list of collaborators were absent, he still managed to dish out the classics. From A$AP Rocky’s “Love$ick” to Octavian’s “Move Me”, Mura Masa provided a hot set that whizzed past in a blink. The ultimate headliner of all headliners was undoubtedly Childish Gambino. 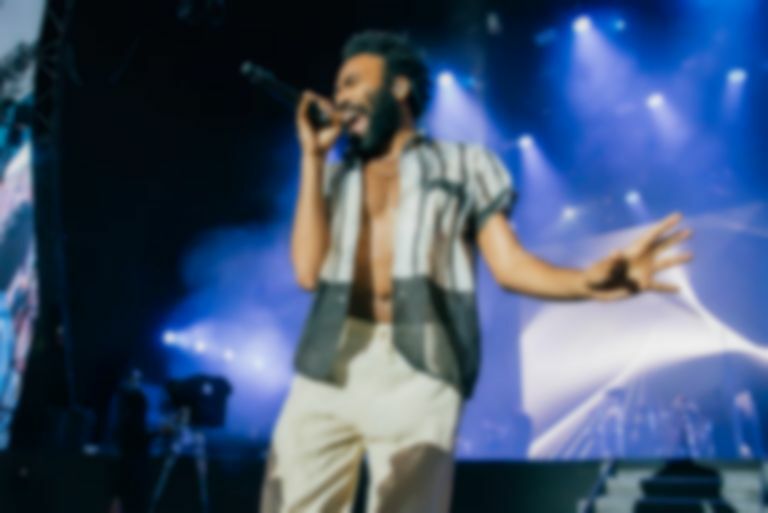 The multi-talented genius, open-shirted, master-of-all-trades performer empowered the London crowd with a run down of his latest album Awaken, My Love!, to which he displayed his unstoppable vocal range. His “Boogieman” performance was goosebump-worthy as he stared wide-eyed into the crowd and embraced the persona of a monster-like character - but how could you take that seriously with his incredible voice?! 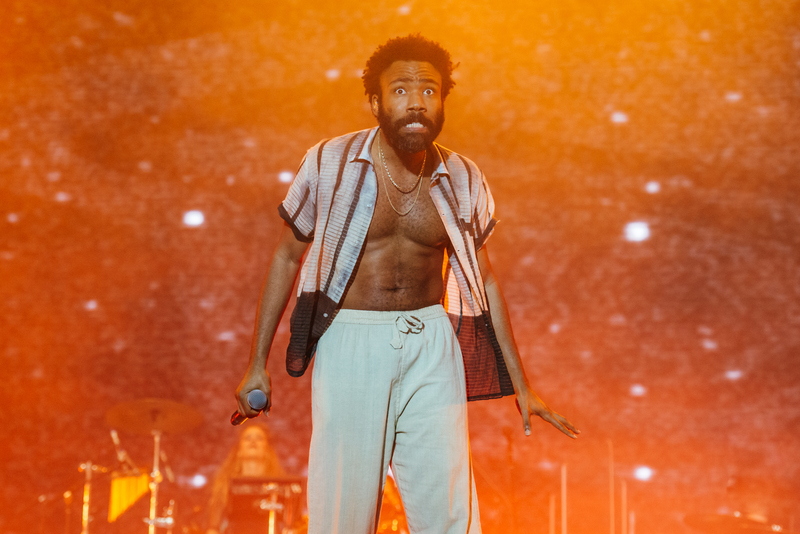 Having already graced London with his impeccable performance and showmanship, Gambino still made time for fan favourites “3005”, “Sober”, “Sweatpants”, and even closed his set with the viral hit “This Is America” with a small re-creation of the video with his backup dancers. It’s true that love was in the air at this year’s Lovebox. 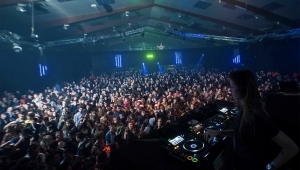 The organisation was good with time slots being mostly adhered to despite the saturated line-up and the summer heat. Gambino really held the crown on the closing night, and provided a service greater than Donald Trump could ever give.